Add all ingredients (minus garnish) to food processor. Blend for one minute or so until it’s smooth. 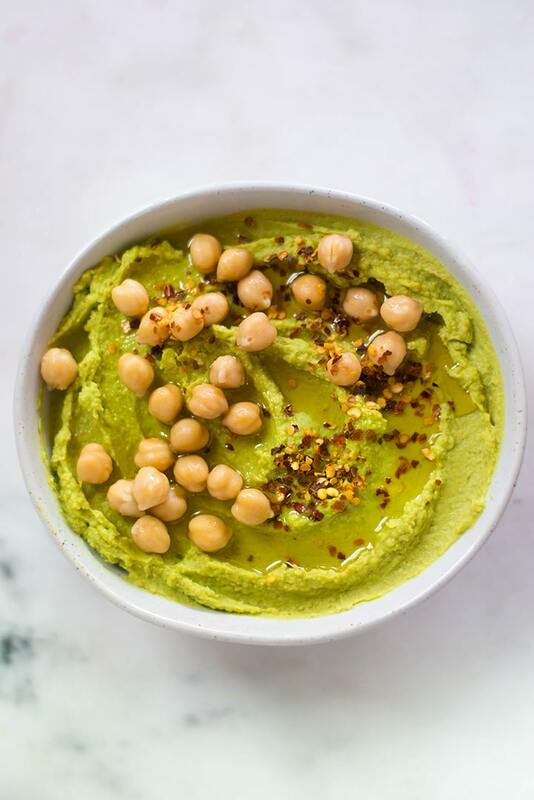 Garnish this avocado hummus with crushed red pepper flakes and chickpeas and a drizzle of olive oil.